Enterprise Zone Program – several communities in Fulton County offer the Ohio Enterprise Zone tax incentive program, which provides a tax abatement on new real property in these geographic zones. Contact the FCEDC for more information. 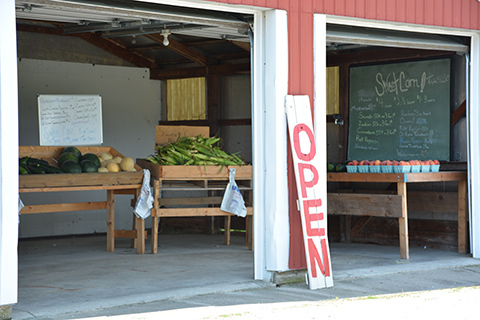 Community Reinvestment Area Program – the communities of Archbold, Delta, Fayette, Metamora, Swanton and Wauseon offer this program for businesses either expanding or constructing new real property. This program provides tax abatement opportunities for businesses in these geographic zones. Contact the FCEDC for more information. The communities of Archbold and Wauseon as well as the State of Ohio offer the Job Creation Tax Credit, which provides a tax credit to eligible businesses that are expanding their workforce. These programs provide income tax credits on a local and state level. Contact the FCEDC for more information. Alternative financing options are available through FCEDC partners like the Toledo-Lucas County Port Authority and Jobs-Ohio. Financing opportunities are available for machinery and equipment purchases, energy saving equipment, new construction and public utilities necessary for communities to supply needed utilities to businesses. Contact the FCEDC for more information. The FCEDC supports businesses with recruitment of their workforce and can provide resources for training. Grant funds for workforce training may be available for businesses that meet certain eligibility requirements. Contact the FCEDC for more details. Some FCEDC partners offer grants to businesses that are investing in machinery and equipment, expanding their workforce, adding new real property or providing their workforce with safety equipment. Contact the FCEDC for more information. The FCEDC partners with the Small Business Development Center and the Economic and Community Development Institute to provide small business owners and entrepreneurs with opportunities to obtain financing and with resources to support their efforts to initiate or expand their businesses. Contact the FCEDC for more information.